Linux kernel 4.1.6 LTS has been announced and released by Greg Kroah-Hartman. It now available to download and install. Linux kernel 4.1.6 LTS updates numerous drivers, especially for things like CLK, Crypto, DMA, GPU (mostly Radeon and Intel i915), hwmon, MD, networking (mostly Wireless, for things like ath10k), PHY, SCSI, Staging, Thermal, USB, and Xen. Additionally, there are sound improvements, and fixes for the NFS and OCFS2 file systems. 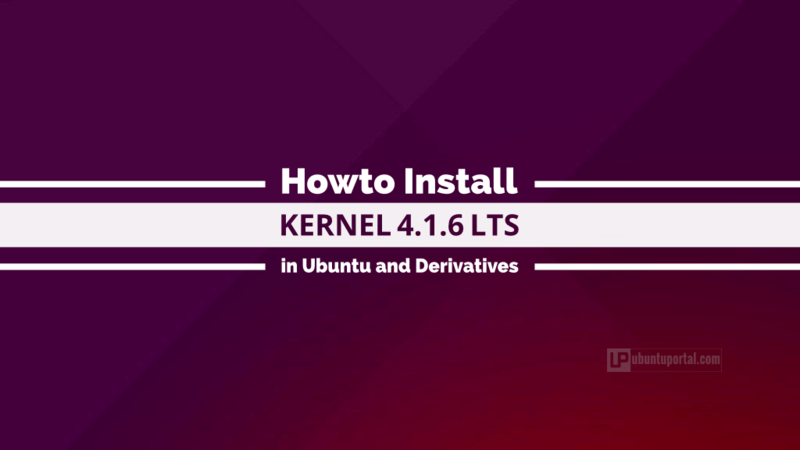 To download and install Linux kernel 4.1.6 in Ubuntu-based distribution, you can following the tutorial in below.